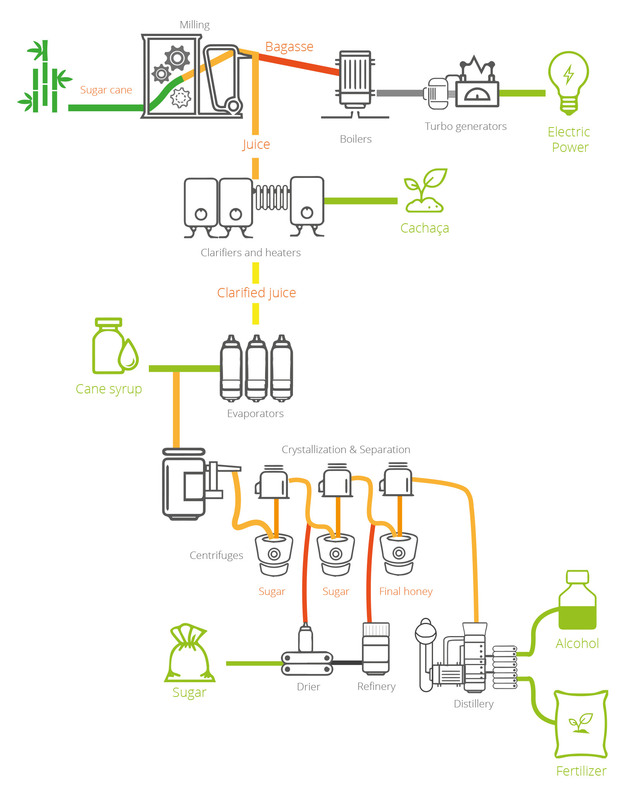 We transform the harvested cane into sugar, honey, alcohol and energy. The main objective is to recover the greatest proportion of sugar and energy present in the cane. The industrial process is based on quality, continuous improvement and high operational performance, while maintaining a safe and healthy work space.